How Do I Upgrade my Plugin? Scroll down to the Plugins section. 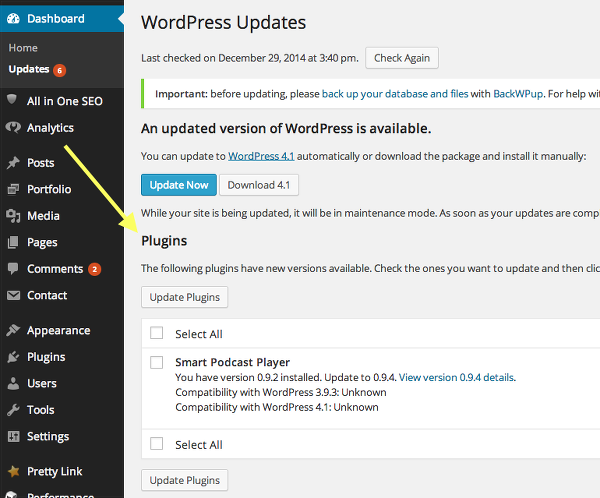 Check the box next to Smart Podcast Player and click Update Plugins. This will update your plugin. If your plugin is active, it will remain active. If you see the Activate Plugin button, click it to activate your plugin. A very small number of users sometimes don't see an expected upgrade notice. If this happens to you, email us at support@smartpodcastplayer.com. 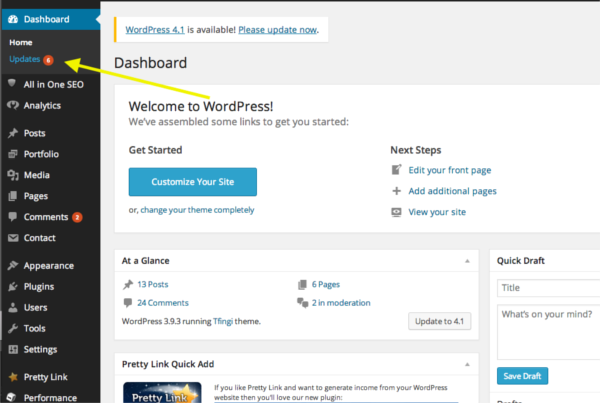 We'll send you the zip file so that you can manually upgrade your plugin. How Do I Install the .Zip file to Manually Update My Plugin?